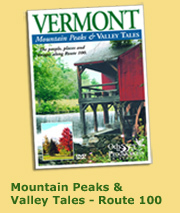 Check out these DVDs and find the one that takes you to a Special Place: Historic Mt. Independence, the Bennington Battle Monument, Smugglers Notch, the Morgan Horse Farm, an Underground Railroad homestead, small towns, back roads, covered bridges, and more very special places. 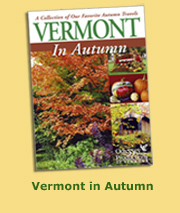 We've traveled throughout the state to find those Special Places in Vermont, and we want to share them with you. We'll take you to see lots of autumn color, beautiful gardens, and places you've never heard of. You'll hear tales of smuggling, a family curse, a lake monster, and the Revolutionary War. Watch maple sugaring in March, cider making in September, and ice fishing in January. Journey with us to the President Coolidge Homestead, to treasured museums, and to restored opera houses. 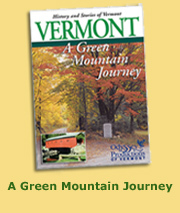 We'll travel along beautiful Route 100 to visit ski areas, museums, a winery, a cheese factory, and a lovely garden. 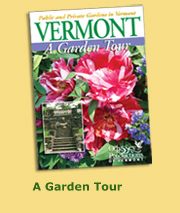 Enjoy Vermont's Special Places in our Vermont Travel DVDs. A SPECIAL COLLECTION OF 3 DVDS, ONLY $31.00, A 20% SAVINGS! OR ORDER ALL 4 DVDS FOR ONLY $38.85, A 25% SAVINGS!